With so many Horse of the Year Show qualifying tickets on offer, the showing classes at The Equestrian.com Hicktead Derby Meeting were contested by a strong field of top horse and rider combinations. 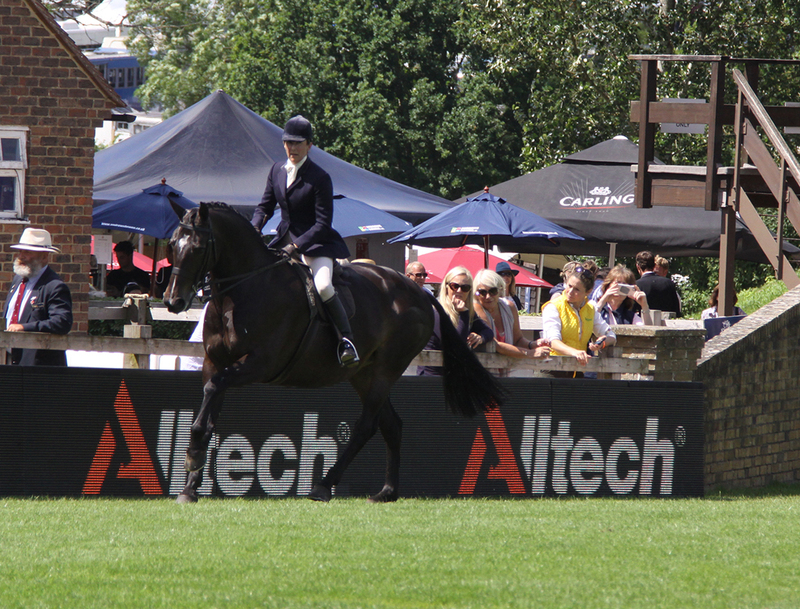 There was tough competition across the wide range of Alltech sponsored classes over the four days of the show. 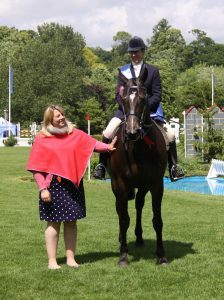 Jayne Ross was once again on fine form retaining the Alltech Small Show Hunter Championship riding Hello Dolly. She capped off a successful show by also taking the Alltech Small Riding Horse and the Alltech Supreme Riding Horse Championship on board Casino, with both her rides owned by Diane Stennett. Edward Young riding Classic Chauvanist turned out a sterling performance to take home the Alltech Small Hack and the Alltech Supreme Hack Championship, with Oliver Hood and Potters Ace triumphant in the Alltech Middleweight Hunter and the Alltech Supreme Hunter Championship. Alltech also sponsored four CHAPS (UK) qualifiers, where Shelley Wheeler was delighted to take the Alltech Supreme Coloured Horse In-Hand Championship after winning the Alltech CHAPS (UK) Non-Native Open In-Hand Qualifier with her own Wincester D.
The Alltech Small Show Hunter Championship was presented to Jayne Ross by Isla Baker-Browne, Alltech’s UK Marketing Manager. “It has been a real honour to be here to present the prize in such a prestigious setting as the International Arena at Hickstead. Alltech is thrilled to continue their association with such top class equestrian sport, that has been on display today,” said Isla. Alltech has developed the Lifeforce Range of all-natural daily digestive aid supplements. 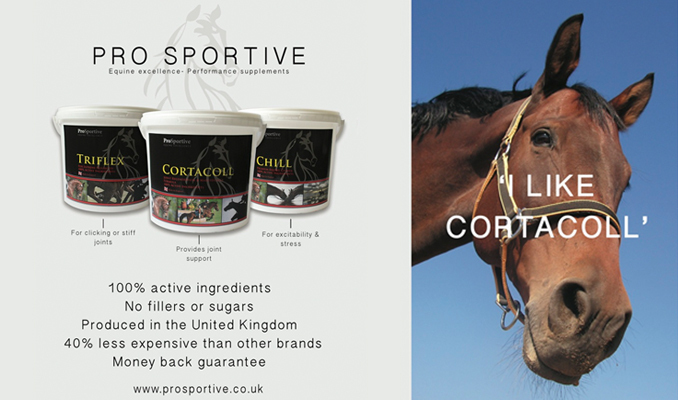 These products are designed to benefit horses at every stage of life, from breeding stock to pleasure and performance animals.